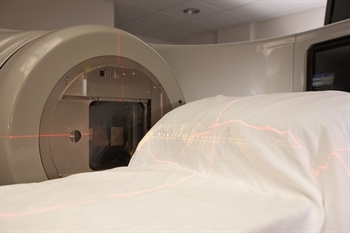 The Kona Community Hospital Radiation Oncology clinic has put together this information to provide you with basic information and directions to the department for your first visit. Please feel free to contact us at (808) 322-6948 before your first appointment if you have any additional questions or concerns. Your initial consultation may last from 1 to 3 hours. If you are unable to keep this appointment please call (808) 322-6910, option 3, to reschedule. We encourage you to take advantage of our designated Radiation Oncology Parking stalls located next to our entrance. Proceed to the Radiation Oncology Department. If you need assistance with a wheel chair please check with the receptionist at the entrance. You will meet with the Radiation Oncology staff physician and they will review your records, give you an examination and discuss his recommendations with you. Please feel free to contact us with any additional questions at (808) 322-6910, option 3, or fax (808) 322-5849.